Fit sportsman running on the steps. Image processed with filters for better look. Taken with Nikon D7100 and 35mm 1.8 lens. Whether you’re a gym rat pumping iron or upping your cardio for better heart health, the evidence is strong: Everyone can benefit from working out. But sometimes it’s not so easy. In fact, some workouts just don’t really work out. Popular fitness crazes such as CrossFit and high-intensity interval training can produce great results but hurt the body when performed incorrectly. And even simple exercises such as weightlifting and running can wreak havoc on the joints. You’re not alone in your muscle and joint pain post-workout. Enter: low-impact exercises. They’re typically less taxing on the body, especially the joints. And they’re great calorie burners, too. Unlike high-impact exercises, in which the body makes contact with, or essentially pounds, the ground (i.e., running or jogging), low-impact exercises involve motions in which one foot at all times stays on the ground, such as walking, yoga or even water aerobics. But before you dive or downward-dog your way in, recognize your limits and modify your fitness routine to work best for you. Here are seven low-impact exercises that make for great results without the consequential pain and discomfort. Why you should do it: With this ancient practice, you’ll be able to feel the burn without feeling the pain. Yoga focuses on healing, repairing and stretching various sore or tender areas of the body, says Thia Brabson, a fitness instructor in suburban Cleveland. Yoga is “holistic because the bodily movements are very much connected to improving cardiovascular circulation, balance, alignment posture as well as breathing and mindfulness,” she says. Body benefits: “Yoga poses can transition from standing, sitting or lying down on your belly and back,” Brabson says. “Typically, the whole body is stretched to various degrees of discomfort, but not pain. Heart rate increases as you deepen the poses. Even low-impact poses can produce core or chest and stomach muscle fatigue. 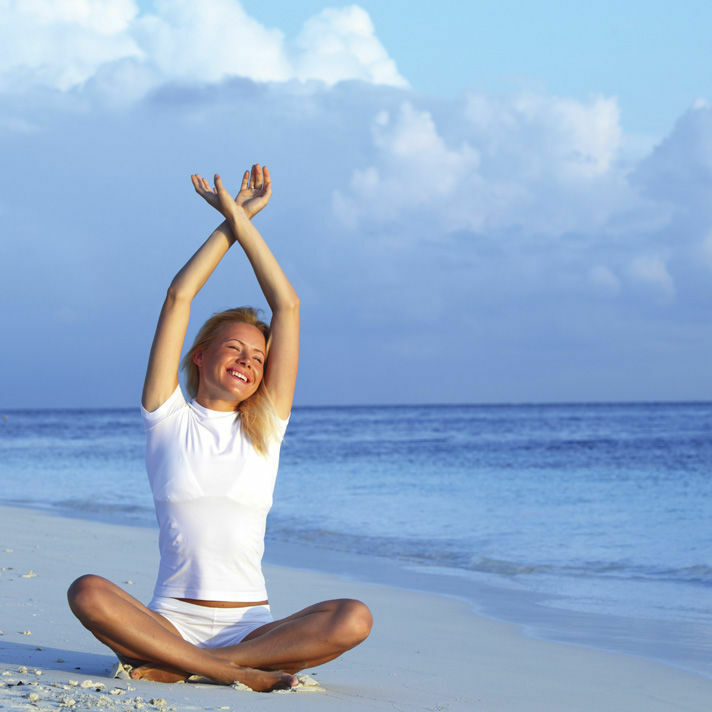 Therefore, a relaxing pose is completed at the end of a yoga workout.” Yoga can also be taught in a chair or with the additional use of blocks, rugs or bands to assist with flexibility. Environment: “It’s generally practiced with more of an individual mindset — even somewhat competitive, as most participants will strive to be more flexible than others,” Brabson says. Some yoga sequences even foster an emotional awareness between the mind, breath and body movement that leads to tears of release. Calories burned: About 200 calories per hour using easy stretching positions, Brabson says. Fitness flip: Yoga is a great alternative to running or other high-impact cardio exercises. Why you should do it: Tai chi is considered low impact because your heart rate and breathing stay at an even pace. The body movements are very slow and precise, according to Brabson. Calories burned: Typically 100 calories per hour with continuous movement. Fitness flip: Try tai chi instead of walking. Why you should do it: Pilates helps people feel better throughout day, says Vanessa Huffman, director of education at Club Pilates in California. The low-resistance movements don’t force overuse of the larger muscles. Body benefits: Pilates strength-trains the body from the deepest layer of muscle to create a solid body core, Huffman says. This form of exercise coaxes the body toward greater flexibility and extendability, as well as helps with breathing and body control. Environment: Pilates creates a feeling of camaraderie for people who feed on one another’s energy. “It also focuses on working within your own parameters, and it is known for being a great workout for introverts,” she says. Calories burned: “An average of 350 calories are burned in a 50-minute Pilates reformer class,” Huffman says. Fitness flip: Pilates is the perfect alternative to cycling or running as it works the same groups of muscles without pounding the pavement. Why you should do it: Many forms of dance are considered high impact. But the connection to the ground makes it low impact, says Kathy Schottke, a fitness specialist and owner of GymGuyz in Fort Lauderdale, Florida. “In low-impact dance aerobics, one foot always remains on the floor.” Some examples include the cha-cha, the grapevine, quick lateral steps, forward and back steps, belly dancing, Latin dance and ballroom dancing. Body benefits: Dance builds strength and endurance and helps in weight loss and maintenance, as well as coordination, agility and balance. “Other benefits include helping to decrease the risk of heart problems by improving circulation, preventing and managing high blood pressure, and controlling cholesterol,” Schottke says. Calories burned: On average, a person burns 272 calories per hour during a low-impact aerobic dance class, and 238 calories per hour during general dancing, according to Schottke. Fitness flip: Dance is a good alternative to martial arts practices. Why you should do it: Being active in the water helps develop a positive attitude, teaches patience, releases stress and tension and renews energy. “The water also massages the body throughout your whole workout,” Richardson says. Body benefits: Your heart rates slow down in water. “Our hearts beat 13 beats less per minute in the water,” she says. “This is a great benefit to those with heart disease or recovering from heart surgery.” Water exercise also builds up endurance, increases muscular flexibility and increases circulation. Environment: You can talk to others as you exercise in water and work with a partner side by side. It also gives you a chance to relax and release stress. Calories burned: Between 145 to 380 calories in 30 minutes. Fitness flip: Water aerobics is the perfect alternative to biking and running. Why you should do it: “For the most part, this type of resistance training is considered low impact because it isolates muscle tissue and doesn’t increase the deceleration forces through the bones or major joints,” Nunez says. Body benefits: It increases strength, flexibility and bone density, while also strengthening your heart, reducing blood pressure, helping to control blood sugar and improving balance and coordination. Calories burned: According to data from Harvard Medical School, a general hourlong strength-training session can burn about 180 to 266 calories. Fitness flip: This is a good alternative to gymnastics or calisthenics. Why you should do it: It doesn’t cause a jarring impact on or injury to the joints, and it’s great for weight loss and maintenance, says Jeffrey M. Hartman, an associate professor of exercise science at Gardner-Webb University in Boiling Springs, North Carolina. Body benefits: Walking can help prevent heart disease, high blood pressure and diabetes. It strengthens bones and muscles and improves mood, balance and coordination. Fitness flip: Walking is the perfect alternative to running and biking, and is suitable for people of any age or who may have certain medical conditions, including being pregnant.